I am pleased to share the 3rd song from my Thanksgiving playlist – I Believe in You and Me by Whitney Houston. There are days when I still cannot believe she is no longer with us. Whitney’s voice was legendary and her delivery was spectacular. This is my last post for today, but you will be hearing from me tomorrow. For now, please enjoy the fabulous Ms. Whitney Houston. Last month, we made two new additions to our homepage, Brooklyn Sounds and Brooklyn Sights. Today we have made an update to our Brooklyn Sounds gallery. Our featured artist is Ms. Stephanie Mills, singing one of my favorite songs Born For This. I know that many of you follow our posts on a smart phone or tablet, however these features are best viewed when using a computer. When you visit our site, you will see both galleries on the left side of the page. As always, thank you for stopping by. Please remember to tell us what you think. Last week we made two new additions to our homepage, Brooklyn Sounds and Brooklyn Sights. Brooklyn Sounds features a song from an amazing Brooklyn vocalist, and Brooklyn Sights provides a glimpse of the beautiful places you will find in Brooklyn. I know that many of you follow our posts on a smart phone or tablet, however these features are best viewed when using a computer. When you visit our site, you will see both galleries on the left side of the page. The selections for each will change twice per month. When you get a moment, please stop by. Don’t forget to tell us what you think. Well, one thing I believe we can all agree on, it is truly cold outside. I am not sure if I ever recall temperatures this brutal since I left Syracuse, New York over twenty years ago. Hopefully today’s post will warm your heart. I invite you to spend a few minutes becoming acquainted with the legendary Sharon Jones, soul queen and leader of the Dap Kings band. And yes, she is a Brooklynite. 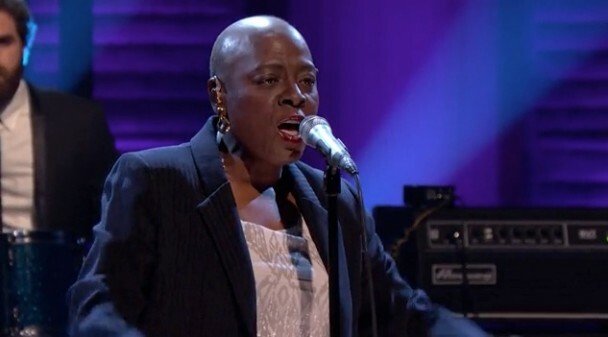 Sharon Jones and the Dap Kings enjoy a wide following in the music world. They are the spearheads of a revivalist movement that aims to capture the essence of funk/soul music, just as it was during the height of its popularity in the mid 1960s through mid 1970s. 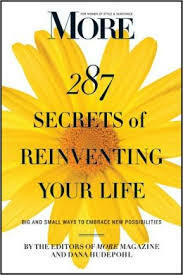 I first learned of Sharon and the Dap Kings while reading a book published by More Magazine, 287 Secrets of Reinventing Your Life: Big and Small Ways To Embrace New Possibilities, in 2011. Sharon provides a riveting account of the challenges she faced, professionally and personally, hence the title “Soul Survivor Sharon Jones.” She tells her story candidly, yet gracefully. In 2007, four years before she is interviewed for this book, 24 of her friends and family members died, include a brother, and her mother suffered a minor stroke. In 2011, she endured another personal challenge when her mother was diagnosed with cancer. The next two years would bring a new set of challenges. In 2013, shortly after supporting her mother during this painful time, Sharon was diagnosed with pancreatic cancer. Her last treatment of chemotherapy was less than one month ago on New Year’s Eve. I can think of no better way for Sharon to celebrate a new chapter in her life. Several years ago, I watched my father struggle with stomach cancer, which he eventually succumbed too. This was one of the most difficult moments in my life. I refer to this time as “my years of silent pain.” This was a topic that I rarely discussed. I buried the pain and anxiety deep within my spirit, for this was the only way I could be strong for my father and my family. Reading Sharon’s triumph, reminded me just how much inner fortitude we each have during life’s more challenging moments. Though painful, we do survive. In the January 23, 2014 edition of The Big Issue, Malcolm Jack shares his interview with Sharon. They discuss her health, her triumphant return to the stage and, most important of all, the “new Sharon”. I found her story to be compelling and inspiring. Rather than summarize the interview, I thought you might enjoy hearing from Sharon – in her own words. Today I’m in Manhattan at a hotel. We had a rehearsal with the band because we’re recording Jimmy Fallon’s chat show [Late Night with Jimmy Fallon] on Thursday and Friday. Saturday morning I’ve got CBS News, then Saturday evening I’m flying out to LA. I’ll be on Conan, then The Tonight Show. Then I go to Canada to do some shows. Then I’ve gotta go to the doctor and take a CAT scan to make sure the cancer is out [last June Sharon had surgery to remove a cancerous tumour]. So everything’s going crazy. I want to get back into the music because music is my happiness.These last few months people have been like, “What you been listening to?” and I haven’t been listening to anything. I’m confident that my strength is going to come back for touring – the doctor said a couple of weeks. Even just getting back into doing interviews and stuff is forcing me to be where I have to go. It’s all part of me getting well. I’m still feeling the effects of the chemo – it still hasn’t gotten out of my system yet. New Year’s Eve was my last treatment. There’s no hair on my head, no hair in my nose but it’s all happening and I’m just bearing it. It’s part of what I have to do. I’m still a little weak. If I had to perform tonight I couldn’t. I thought I wasn’t ever going to be able to play this Give The People What They Want album live. I really thought I was going to die. I had pancreatic cancer stage two. Pancreatic cancer is one of the most aggressive cancers. People who get to stage three and four never survive. The album was supposed to come out in August. We were getting ready to tour it then, and we just had to stop everything when I got sick. But they did let Retreat out as a single. After being sick, it changed the whole meaning of that song. Instead of me telling this guy to retreat, I’m telling my sickness, this cancer to retreat. Get behind me: I’m back to give y’all what y’all want, which is old soul music! My whole eating has had to change. I do green drinks now – I need all the vegetables I can get. My drink in the morning is about 13 different ingredients – spinach or kale or sprouts, and a banana or some grapes to make it sweet. When I drink this stuff it’s like – wow! That had a lot to do with my healing. That’s been a big change in my life, to eat differently. I think this first show in New York, on February 6, is going to be something special. I’m so excited. For me it’s going to be like a new beginning. This whole Sharon is a new Sharon. I’m not going to have my little dresses on – they’re still hanging in the closet but I’m gonna get them back – I want everybody to know! Brooklyn Legends is proud to celebrate with Sharon Jones on her amazing recovery. She will be performing at the Beacon Theater on February 6th. For tickets, please visit Ticketmaster. In my last post, I shared some of the beautiful decorations that can be seen throughout our City. Today, I would like to share some of the songs that seem to put everyone in the spirit of Christmas. After all, where would we the wonderful gift of music? Before I continue, I must tell you about an inspiring concert I attended this past Sunday, December 8th, at St. Mark’s United Methodist Church in Brooklyn. For years, it has been my honor to accompany Pauline Budd, my good friend and neighbor, to this special performance; which is a mainstay in our community. St. Mark’s Church was almost filled. It felt as if there were more than 200 guests in attendance. On this occasion, The Chancel Choir, under the directorship of Oscar Stephenson and accompanied by an orchestra, presented Bethlehem‘s Child with ease, elegance and amazing grace. At the end of the performance the members of the congregation, especially Pastor, Rev. Dr. Glyger G. Beach, were justly proud. I want to publicly thank Pauline for always including me in this experience. The Choir is working to record their music for the future. For now, I hope you will enjoy a few of my favorite Christmas songs: What Child is This, by Mary J. Blige and Andrea Bocelli, Go Tell It On The Mountain/Mary Had A Baby by Vanessa Williams and O Holy Night by Jennifer Hudson. Enjoy the weekend and remember Christmas is almost here!